First, we were asked to choose a comfortable bike. Then the tour started on time. Intramuros is a very good place and the tour was very informative. Combining exciting adventures with educational ecotourism, a Bambike tour during your trip to Manila is surely something you'll never forget. 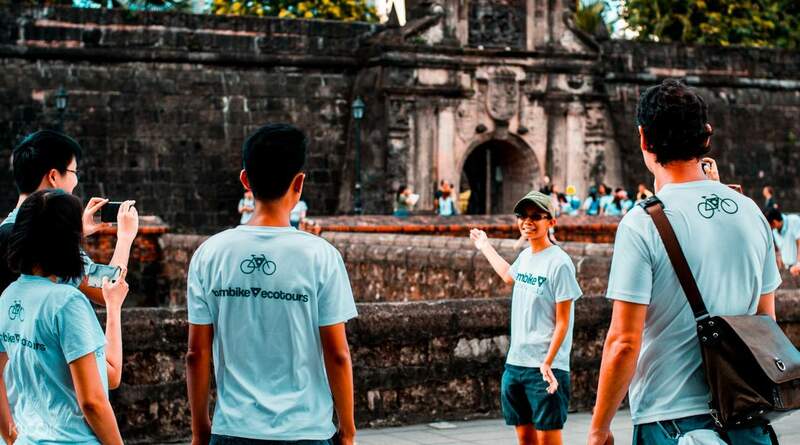 Join this exciting tour and hop on a one-of-a-kind bike that's made with natural bamboo, abaca materials, and aircraft-grade aluminum for the connection points. Every bike is made by hand by craftsmen dubbed as Bambuildgers, which can take up to four months or more each! Pedal all around Intramuros, the historic walled area within Manila, and see the historic sites of this ancient citadel founded in 1571. Learn about the unique history of the Philippines, particularly during the Spanish colonial era, as you explore the area with your local guide that speaks both English and Filipino. Visit at least five different sites, including Fort Santiago, used as the defense fortress of the city, as well as the San Agustin Church, which has been rebuilt three times due to wars and natural disasters. 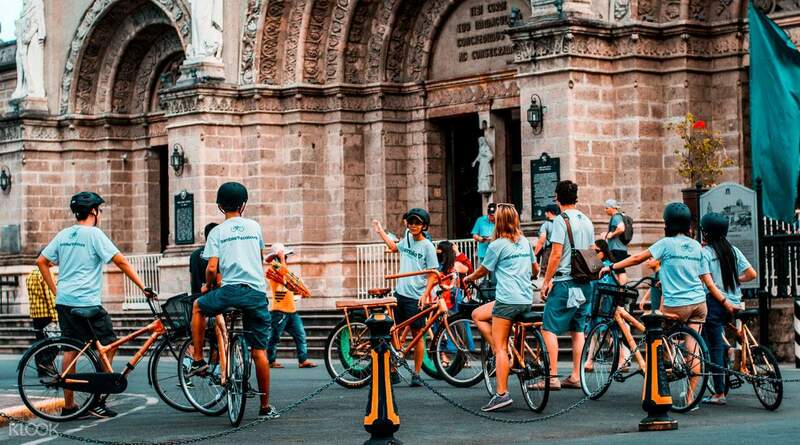 You'll even get to bike on top of the walls of Intramuros, which offers a great view of one of the oldest parts of Manila! 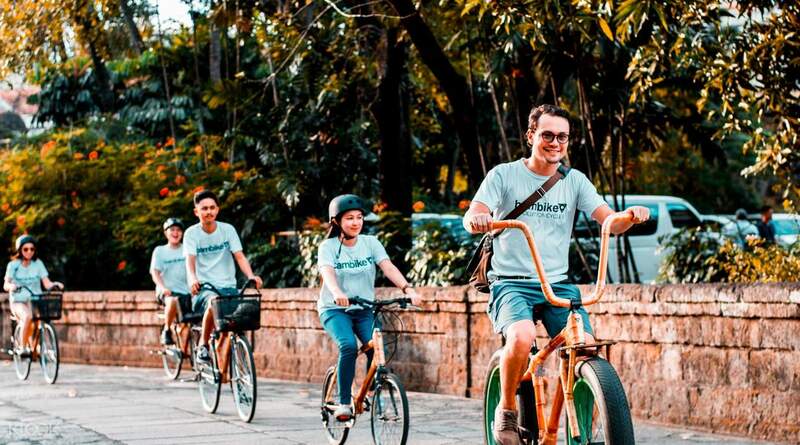 Enjoy an unforgettable experience during your trip to Manila by joining a Bambike tour! An awesome afternoon spent biking around Intramuros learning about Philippine history. Our guide was knowledgeable and funny, making the tour a good laugh. We were also treated to a beer at the end, a great day we could highly recommend! An awesome afternoon spent biking around Intramuros learning about Philippine history. Our guide was knowledgeable and funny, making the tour a good laugh. We were also treated to a beer at the end, a great day we could highly recommend! Intramuros Bambike Tour was INCREDIBLE! My partner and I had an amazing experience riding the one-of-a-kind Bambikes while learning and relearning the history of the Old Manila! I would love to do it again when I visit home in the future! Intramuros Bambike Tour was INCREDIBLE! My partner and I had an amazing experience riding the one-of-a-kind Bambikes while learning and relearning the history of the Old Manila! I would love to do it again when I visit home in the future! It was an amazing tour. It was my first time in Intramuros and the Bambike tour did not fail me. The tour guide was informative and entertaining at the same time. I will highly recommend them to my friends who want to know more about Philippine history and have fun at the same time. It was an amazing tour. It was my first time in Intramuros and the Bambike tour did not fail me. The tour guide was informative and entertaining at the same time. I will highly recommend them to my friends who want to know more about Philippine history and have fun at the same time. a one of a kind biking experience with historical tour. our tour guide, Ariel was so friendly, accommodating, helpful and knowledgeable about the history of intramuros. he even took our group photos for us. this trip is definitely worth recommending. thanks bambike ecotours! thanks klook! a one of a kind biking experience with historical tour. our tour guide, Ariel was so friendly, accommodating, helpful and knowledgeable about the history of intramuros. he even took our group photos for us. this trip is definitely worth recommending. thanks bambike ecotours! thanks klook! First, we were asked to choose a comfortable bike. Then the tour started on time. Intramuros is a very good place and the tour was very informative. First, we were asked to choose a comfortable bike. Then the tour started on time. Intramuros is a very good place and the tour was very informative. The best way to explore Intramuros! Our tour guide, Cedie was wonderful. Learned a lot of history on each site we visited and the bamboo bikes were the best! I wish I could own one! The best way to explore Intramuros! Our tour guide, Cedie was wonderful. Learned a lot of history on each site we visited and the bamboo bikes were the best! I wish I could own one! All good. The tour was entertaining and we are able to learn alot about the history of Philippines. All good. The tour was entertaining and we are able to learn alot about the history of Philippines.